Lately we've been hearing some weird rumors. Whether they are whispered outside the lunchroom or shouted from a distant parking lot, the message is always the same: gorillas don't need gorilla feet, someone keeps saying. Our research department has assured us that these rumors are totally false, which is good, because we were really hoping that a set of shoe coverings like these might round out somebody's gorilla costume. Then again, one of our designers made a sketch of a gorilla's torso attached to the lower body of a mackerel that looked pretty spectacular. 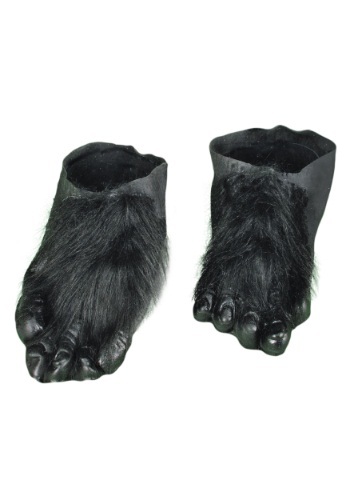 So if you plan to dress up like a mer-rilla, these foot coverings may not be right for you. However, if you want to look like the actual, real-life great ape, we wholeheartedly suggest that you consider a set of these. After all, knuckle-walking without feet is really hard on your hands.